NGN is unlike most telecommunications corporations. We are a corporation of cooperatives, owned by our members: Habersham Electric Membership Corporation (HEMC), Blue Ridge Mountain Electric Membership Corporation (BRMEMC) and NGN Connect. 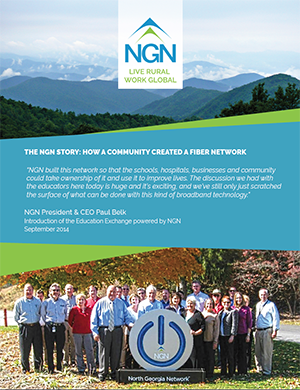 Bound by the common vision of a more prosperous future for rural Georgia, NGN and its members focus on providing our region with a fiber optic network that is fast, reliable and affordable.